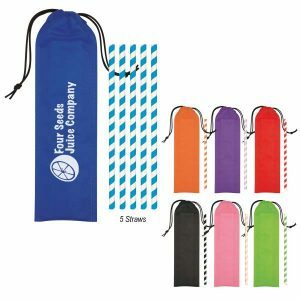 A Reusable Food grade-silicone straw inside a 2″ x 2″ traveling case, which can be imprinted with your logo. Not only do these promote your business, they are also great for the environment! A great give away for your next event!